For over a century, The Sagamore Resort in Bolton Landing, New York has been serving impeccable hospitality on the southern end of Green Island on Lake George. 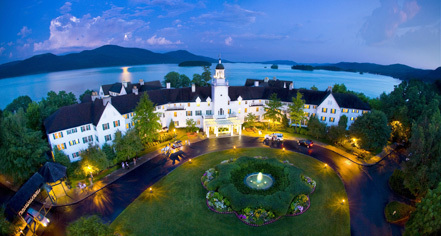 Affording stunning views of the islands that grace its vibrant surroundings, The Sagamore is a family-friendly golf and lakefront resort offering 375 luxurious accommodations, extraordinary dining, superb fitness and spa facilities, and a host of opportunities to enjoy the incredible beauty of the Adirondacks. 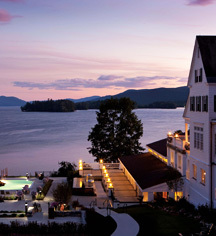 The Sagamore Resort, a member of Historic Hotels Worldwide since 2014, dates back to 1883. The first Sagamore burned to the ground in 1893 and was immediately rebuilt, but burned to the ground again in 1914. The current building is the third rendition. Adjoining Rooms: Adjoining rooms by request only. Airport Transportation: Available with a 48 hour notice. Rates vary from $150 and up each way. Cancellation Policy: Cancellations must be made 14 days prior to arrival to avoid losing deposit. Deposit: $35 deposit due at booking. Full amount due 14 days prior to arrival. Early Check-In/Late Check-Out: Subject to availability. Late check-out subject to fees depending on departure time. Extra Person Fees: $25 per person per day. Hotel/Resort Fees & Taxes: Daily resort fee of $30 covers amenities. All reservations are subject to a tax of 11%. Occupancy Restrictions: 3 persons per room. Pet Policy: Service animals: Yes. Pets allowed: Yes. Restrictions: Dog Friendly. Maximum amount: 2 dogs per room. Fees: $75 per night, per dog. Certified service dogs that provide assistance to individuals with disabilities are welcome at the hotel and are not subject to the policies and restrictions. For over a century, The Sagamore Resort in Bolton Landing, New York has been serving impeccable hospitality on the southern end of Green Island on Lake George. Learn more about the History of The Sagamore Resort .